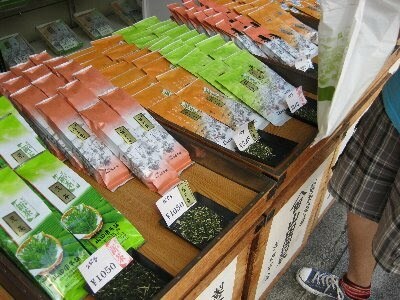 If you have one more day for sightseeing in Kyoto, visiting Uji is one of the choices left. Open your purse, do you have 10-yen coin in it? Please look at the back side of the coin. You will see Byodoin temple on it. 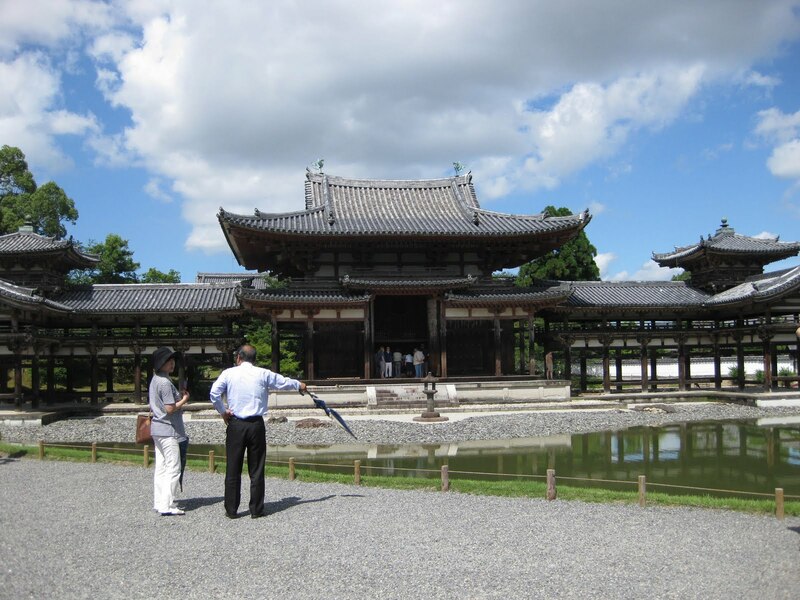 Byodoin temple is very old and it was not renovated. The buidling itself is very old and not gorgeous. However, in the old days, it was painted with colorful paint, mainly red. The people in those days believed the paradise in Pureland was in the west. When you stand in front of the pond, you will see the main hall called phoenix hall in the west. They wanted to make something like the paradise in pureland there, and it was what they thought Paradise. The face of the buddha image in the hall can be seen through the round window. As you see, the architecture represents a phoenix with its wings spread. 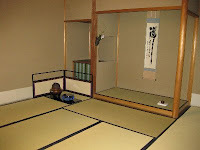 The images and the pictures which used to be in the hall are exhibited in Byodoin museum in the precinct along the original colored main hall using computer graphics. Those are very impressive and worth seeing. They make us feel something. I can imagine how beautiful they were and how the hall stood there. If you have a little more time, how about visiting another world heritage site, Ujigami shrine? 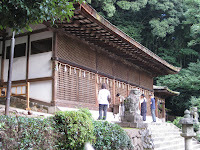 This shrine has the oldest shirine building in Japan. It is not so showy. But please imagine this building has been there down the old ages. It has never been changed, just standing there. You will surely understand why this shrine was resistered as a world heritage site.